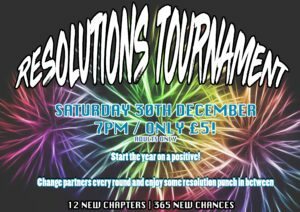 With the new year around the corner what better way to celebrate than with our Resolutions Tournament. We are long overdue a tennis social, so let's start the new year with a bang. 12 new chapters, 365 new chances!